In a digital age where you can begin, promote and carry out your business activities from practically anywhere (provided you have a data connection), there are very few physical tools required. Visualisation and helping clients quickly understand current issues or proposed development on their website/mobile app plays a major role in the speed and success of a project. 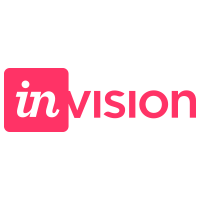 Invision allows us to grab website or app screenshots and annotate with suggested improvements to be discussed with the client. Using these screenshots (or new designs) we’re also able to ‘Liveshare’ to bring team members and clients together in one space to view the same screen – where we can sketch, highlight and type to visually convey our thoughts in real time. With these methods, there’s a huge amount of time saved in email threads and phone calls, not to mention the incredible reaction we often have from clients who get to have a much more active role in the design and development process. Another great feature worth mentioning is the ability to mockup entire mobile apps from PSD’s/image files and create ‘hotspots’ to enable viewers to navigate the screens – as if it were already built. Again, this helps the client to visualise their end product, but also enables us to create a more accurate feature & flow spec for our development team to work from. It’s hard to imagine a world now without the ability to contact people by several methods… but sometimes there’s no better way to go through ideas or discuss the finer points of a project than to get together and have a traditional conversation. IP conference calling & video calls are now regularly used ahead of landlines for many businesses – offering not only free calls (if you have wifi/data), but a higher level of engagement too. 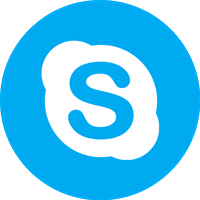 Using Skype, Hangouts or GoToMeeting etc means remote groups of PM’s, clients and developers can efficiently discuss and collaborate on moving the project forward – with the added benefit of being able to see one another’s body language if they opt to share video too. With our team & clients split across both sides of the Atlantic, our business simply wouldn’t work in the way it does without these methods of communication, so they’re an easy inclusion in this list. Whenever I’m working, I have several mobile devices I use daily in addition to a laptop. From a business angle, having a variety of devices to create & manage content from anywhere, anytime is imperative for both us and our clients in order to stay ahead of the competition. The way in which we setup our client websites means this very blog post you’re reading now could have be written and posted to the website/Facebook/Twitter on a mobile, tablet or laptop. 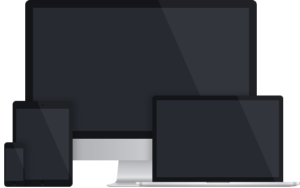 With some simple setup and training which we offer as standard to all our clients, we’re able to help them build a knowledge of how best to use each system on their preferred device(s) with minimal effort. With these mobile tools the clients become much better placed to achieve higher results for content engagement & sales conversion, without needing to take too much time from their other business activities. Sometimes endless lists and email threads as long as your arm just aren’t enough to get the job done efficiently. Realising this in previous roles, our team all have their own ways to organise themselves – but when it comes to client projects & communication however, we use several methods for communication and tracking. 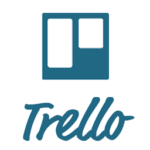 If our client already uses project management software like Basecamp, Trello or Wrike for example, we integrate with their preferred tool, to make the experience as stress free as possible. If they’re not already familiar with these, we would setup an account on the piece of cloud based software that would work best for their project type. We never charge for this, or insist clients sign up for a paid account. We also help each client setup the appropriate mobile app to give them easy access to project flow whenever/wherever they are. In it’s first 10 years, Facebook grew from Harvard dorm room, to 1.2 billion user heavyweight of the social media world. Beyond the viral videos and keeping in touch with friends and loved ones, more and more businesses are realising the shear power of both it’s local and global reach. We’re not limited to just Facebook of course, with other big players in the sector, including Twitter, Snapchat and Instagram (now owned by Facebook) all providing their own unique platform to promote business. Looking after multi-client accounts across social media is a complex, yet highly rewarding part of our day. From content creation/curation to carefully set demographics on local paid advertising campaigns, the benefits are very clear – with all projects to date receiving excellent client feedback & high conversion rates for their businesses.